Oh yes. You read that right. 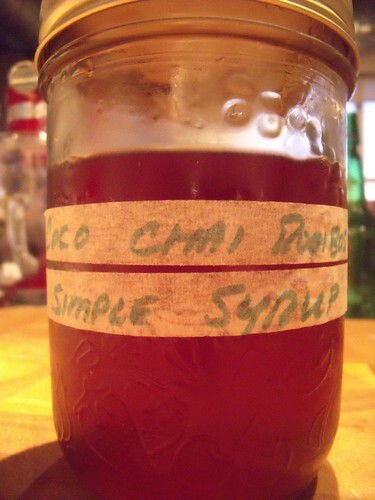 Chai Tea flavoured simple syrup. 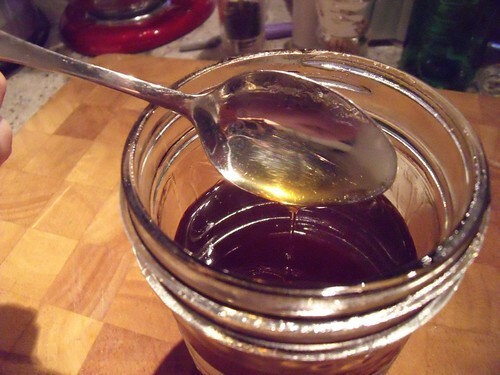 Ok, I know it’s sugar… but bear with me, because this syrup is so lusciously flavoured that all you need is a little bit (less than a teaspoon!) to infuse the full-of-spice Chai flavour! 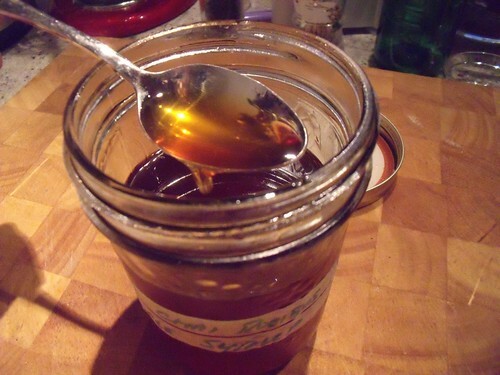 I’ve been experimenting with it on everything, and have found it particularly lovely atop Johnny Cake (a sweet cornbread), or pancakes, or as a drink mixed into a tall glass of club soda! I also think it would be great over ice cream, or in cocktails (rum + Chai = yum)! And the best part? You can do this with any tea! I’m thinking I need a mint syrup, and a lavender coconut syrup, and an orange hibiscus syrup… oh, the adventures begin! Boil your water and brew a cup of tea. Strain and pour into a small pan. 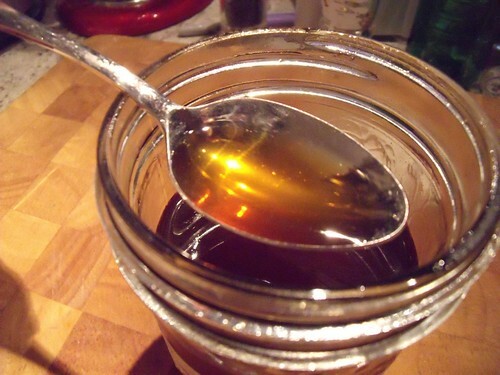 Turn the heat on to medium-low and stir in the sugar. 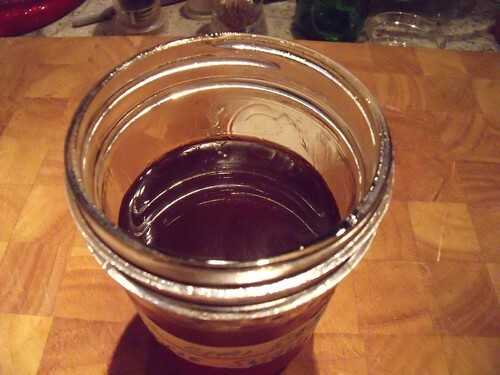 Let sit on the heat for 10-15 minutes, until the sugar dissolves completely. Store in a clean glass mason jar in the fridge. This sounds amazing! I just found your recipe for hibiscus tea from ages ago. Did you do anything to the flowers before you steeped them, like take off the stamens or anything, did you just use the petals? I used commercial dried hibiscus flowers from my local El Salvadorean store. They look like more than just the petals, but honestly I think just the petals would work fine too.